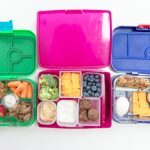 School’s out and lunch box packing is on hold for the summer. Phewf! Although home lunches may seem easier than packing school lunches, there are only so many peanut butter and jam sandwiches that your kids will eat (I say this, because this is often the lunch option that I often fall back on when I’m stumped for ideas). 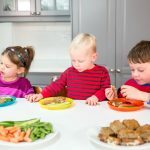 It’s important that kids eat a balanced, nutritious lunch including high quality protein, carbohydrates for energy, healthy fats and vitamins and minerals. 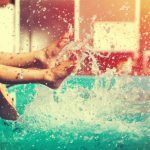 Even though this translates into “healthy”, for us parents, it doesn’t have to translate into “boring” or “blah” for our kids. In fact, it can mean fun and delicious. 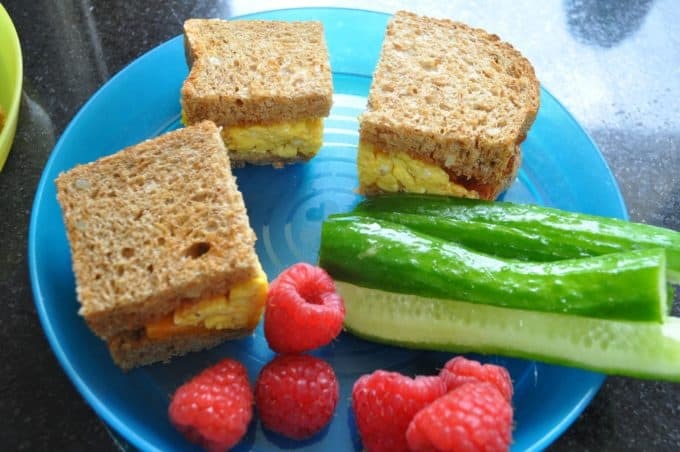 In between two slices of whole grain bread, place just-made (or warmed left-over) scrambled eggs (enough to cover one slice of bread), two to three thin slices of cheese, and tomato slices (ketchup optional). 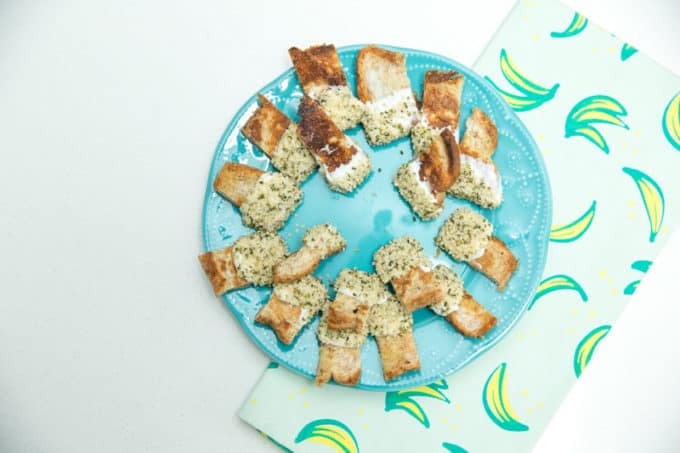 Allow cheese to melt and slice into quarters or halves. Serve with raw veggies and hummus and/or cut up fruit. 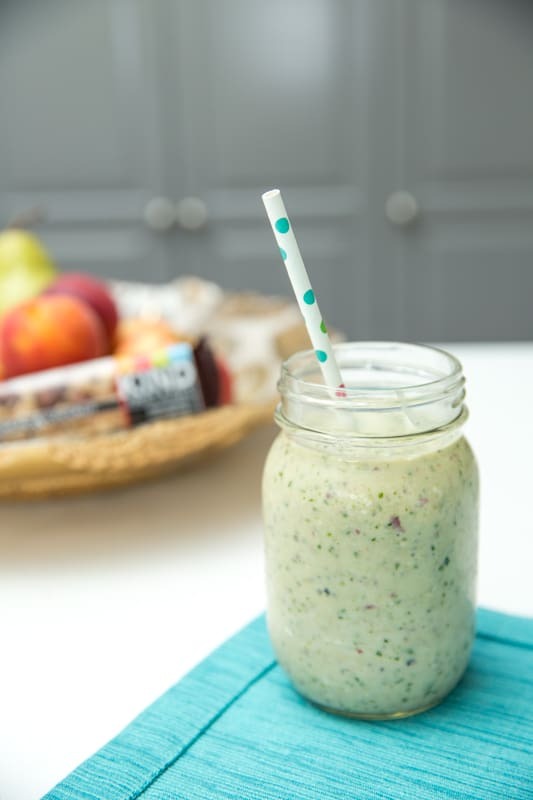 Combine 1/2-3/4 cup Greek yogurt (plain or vanilla), 3/4 cup frozen berries or other fruit, 1/2 banana, 1 tbsp natural peanut butter (or 1 tbsp seeds such as flax, hemp or chia), large handful (or two) of greens such as kale or spinach, 2 tbsp rolled oats (optional) in a blender. Add just enough milk to cover 3/4 of the ingredients. Start blending. Add more milk it needed and blend until smooth. Enjoy! Take leftover French toast (I always make extra on the weekend for easy weekday breakfast or lunches), and cut into small rectangles. In a bowl, mix together 1/2 cup vanilla Greek yogurt with 1.5 tbsp peanut butter and a sprinkle of cinnamon. In another small bowl, pour about 1/3 cup hemp hearts inside. Dip French toast into the Greek yogurt dip and then into the hemp hearts. 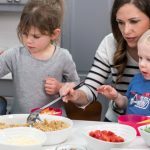 Serve with fruit and your kids will gobble them up! 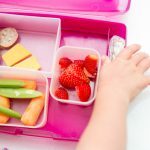 I know this one is super simple, and some may think not-so-nutritious, but I’m a real Mom who uses some boxed, packaged products from time to time for the sake of convenience (and to add fun to our meal and snack rotations). 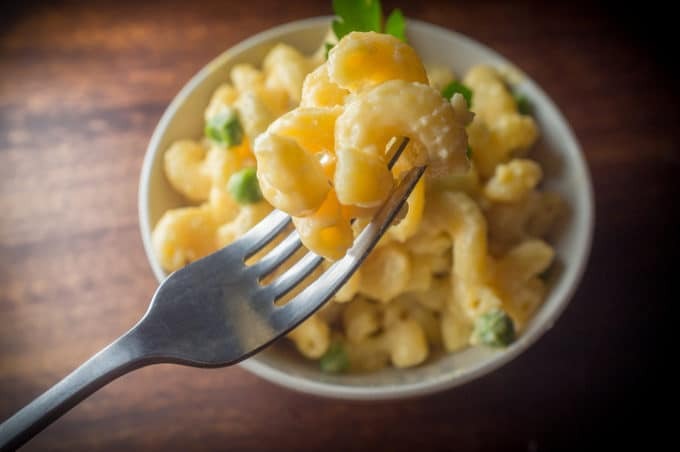 You can use a boxed mac and cheese that you like (I like Annie’s organic white cheese shells), add frozen peas (this not only adds nutrition, but also cools the mac and cheese down!) and voila! I usually serve with raw veggies and dip. Here’s a super quick homemade mac and cheese recipe if you have a bit more time to spare! As you can see, I cook with eggs a lot because they’re so versatile and easy to work with. I make frittatas a lot, for breakfast, lunch and dinner, and just add whatever veggies and leftover meat we have in the fridge. In medium sized bowl, combine eggs, milk, grated cheese, salt and pepper until well mixed. Set aside. Add chopped veggies and sauté for 3-5 minutes until tender. Add fresh spinach and cook until just wilted- do not over-cook veggies. Add egg mixture to pan and gently disperse veggies evenly within egg mixture. Cook for about 5 minutes, until egg mixture is cooked along edges. Transfer to oven, uncovered, for 15-20 minutes or until frittata is firm (not runny) in centre. Remove pan from oven and allow to cool. Remember to always cover the handle with an oven mitt (it’s steaming hot!). Cut and serve on top of whole grain toast and pair with salsa or a salad. 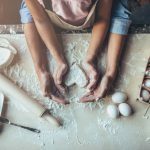 Want to make the muffin-tin version instead? Skip the stove-top and add egg mixture directly to greased muffin-tins. Place in 400 degree oven for 15-20 minutes! Top whole grain bread with a thick slice of tomato and then cheese. 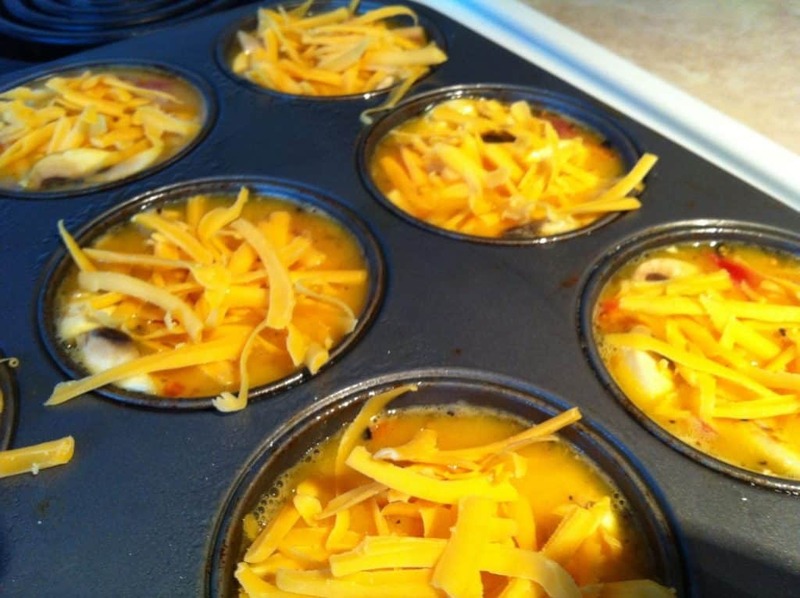 Place under the broiler in your oven or toaster oven for 2-3 minutes until cheese is melted. Serve with raw veggies and hummus. These delicious flourless two-ingredient banana pancakes have been a hit since I posted them on the blog a couple of months ago in my “Breakfast Outside the Box” series. 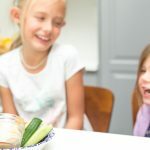 My kids love them, so I’ve decided to add them to our lunch rotation regularly. We serve them with Greek yogurt and berries or topped with peanut butter (and alongside cut-up fruit). I also have a delicious flourless oatmeal apple muffin recipe here that would be a great addition to lunches too! Heat a frying pan over medium-high heat on the stove and melt 1 tsp of butter. 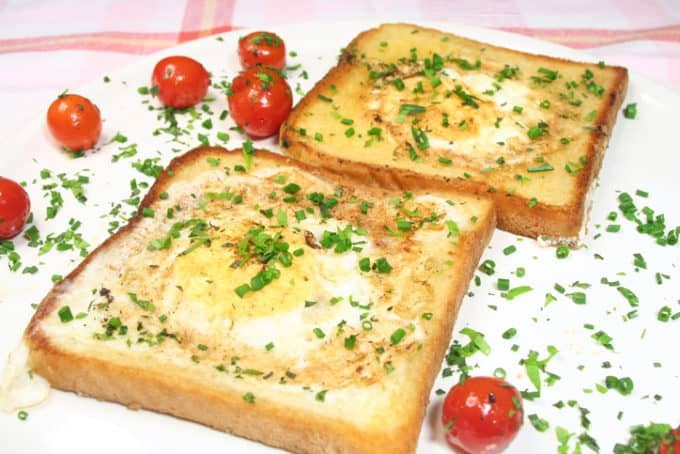 Make holes in two slices of whole grain bread and place the bread in the frying pan. Crack an egg into each hole. Flip when golden brown. Serve alongside veggies and dip or fresh fruit. My kids like a bit cheese melted on top of theirs. 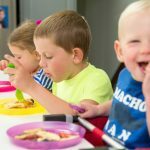 There’s nothing more fun than eating snacks for lunch! 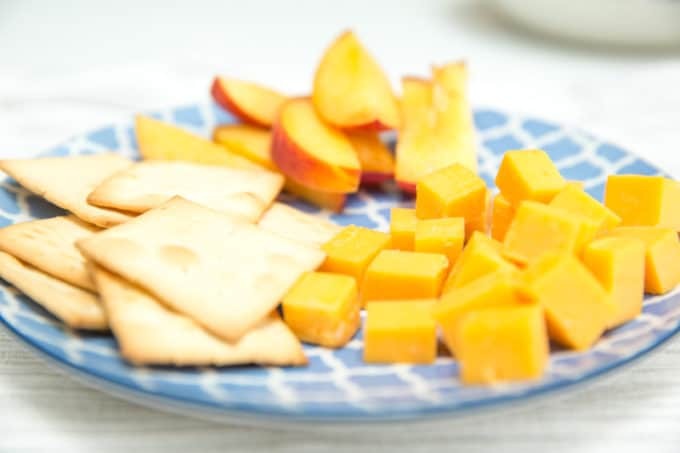 Finger food snack plates are our favourite kind of lunch, because they’re not only fun, but super easy to throw together last minute. 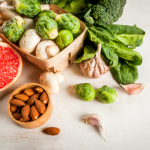 You can mix and match the foods that you provide, but I always aim for at least one vegetable, at least one fruit, two sources of protein and one whole grain food. 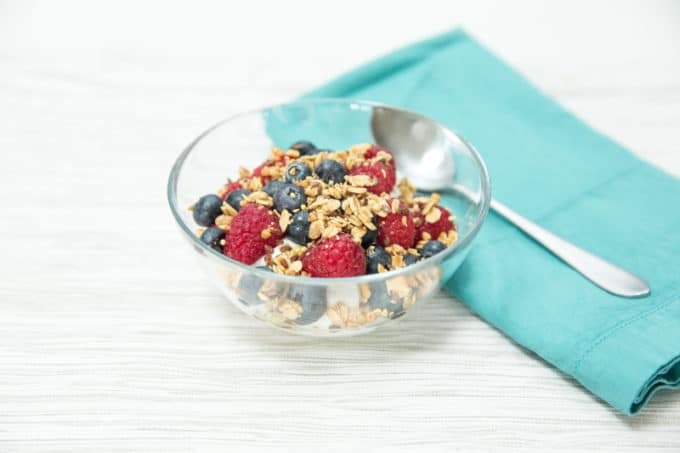 Who said yogurt parfaits are only for breakfast?! Yogurt parfaits, complete with greek yogurt (it has double the amount of protein than regular! 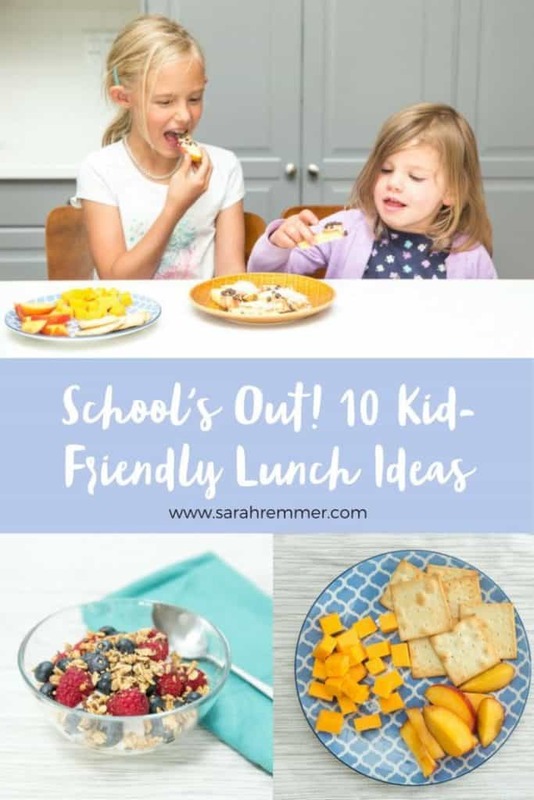 ), fruit, nuts, seeds and (optional) granola or whole grain cereal sprinkled on top are the perfect, easy option for summer lunches. 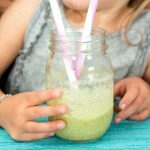 Cool, refreshing, a little bit sweet and nutritious! 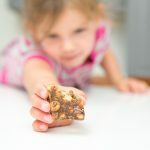 Please check out my Facebook page for more easy, kid-friendly recipe ideas as well as daily nutrition tips, resources and articles. 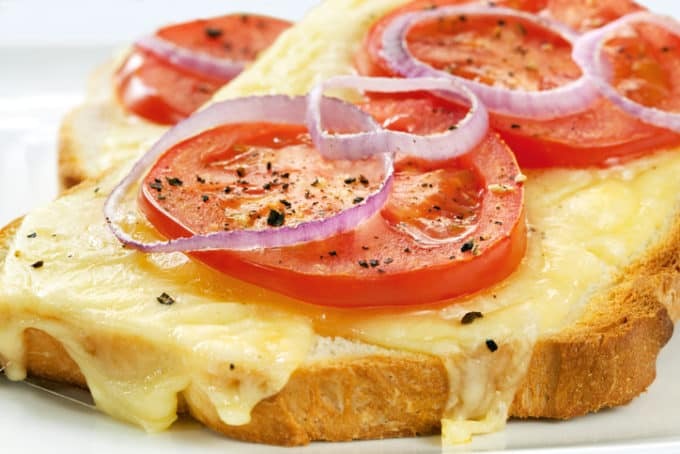 I really liked it when you mentioned the cheesy melt and that this is made by placing tomatoes and cheese on top of the whole bread before placing it in the broiler. That sounds like a good food to let the kids eat, but the problem is that I have no time to make something like this because I am busy with my job. I might suggest this to the school since I am a part of the parents’ association. Or I can get a professional to do this for me.